For my husband’s birthday, I decided to make him all the desserts that he loves. I love dessert tables, and this was my first attempt of making one. All I can say is… success! 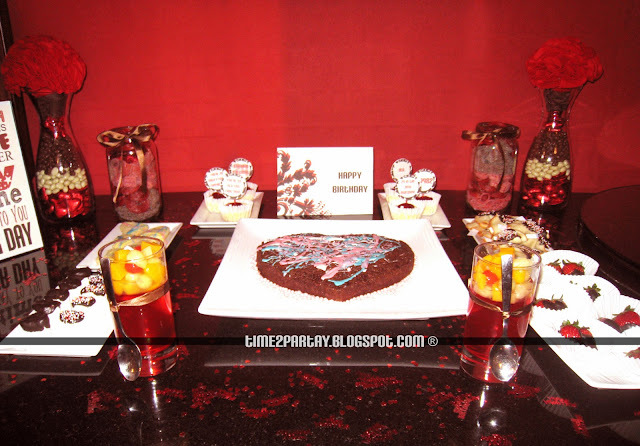 What made it an extra special birthday was that everything was homemade, from the decorations to the desserts. I had to add fortune cookies since we were going to eat Chinese food for dinner. The theme was red, brown, and beige. Good thing he came home early that day or he would’ve had a dessert table, without the desserts! Ice cream toppings: sprinkles, m&ms;, and crushed Oreo cookies! Gift basket that consists of cupcake pops, chocolate covered strawberries, fortune cookies, and a brownie. Check out my posts on how to make this chocolate filled flower vase and this birthday subway art! 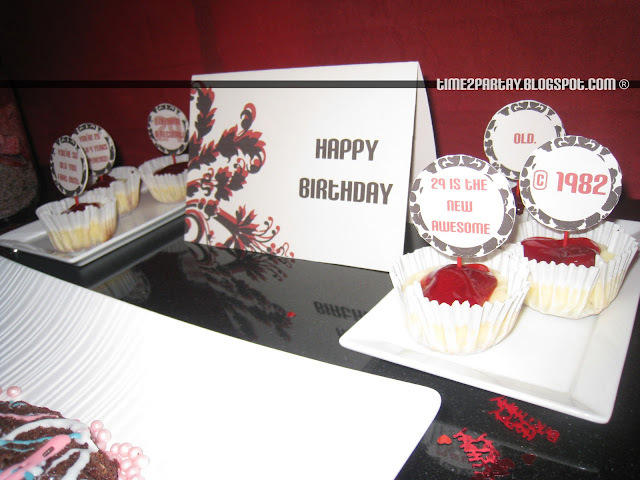 Check out my post here for more details on these cupcake toppers. I never thought I would actually make fortune cookies. I just couldn’t resist a try! 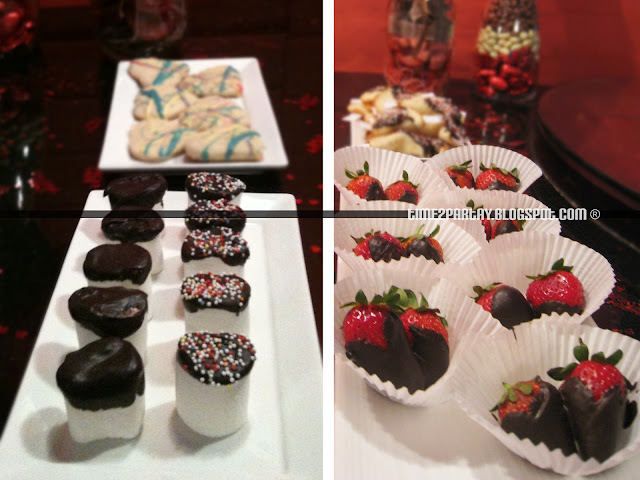 Chocolate covered strawberries and marshmallows anyone? I’m warning you, you’ll be asking for more!